Priscilla is the Community Outreach and Social Media Manager at Baby Tula. Before becoming obsessed with all things babywearing related, Priscilla was an art educator and curator. Her ability to make art palpable and interactive now informs her babywearing education and community engagement. She has been a babywearing enthusiast for over 6 years and is certified through the Center for Babywearing Studies. Priscilla is also a founding member for the Portland chapter of Babywearing International. 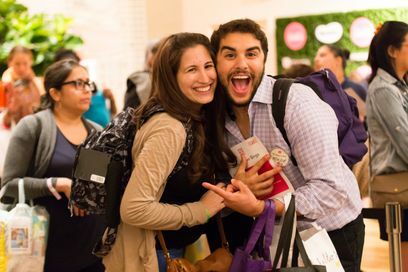 Through her work at Baby Tula and her local babywearing community, Priscilla aims to make carrying your baby an empowering and memorable time for new families. Whitney Casares, M.D. is a pediatrician and a mom to two young girls in Portland, OR. She is the author of The Newborn Baby Blueprint: Preparing to Care for Your Infant and Yourself and the creator of the popular website modernmommydoc.com, where she helps parents win at parenting without losing themselves. Megan Landrum is a registered dietitian and infant gut health expert for Evivo. She continues to be an advocate for early gut development and leverages Evivo as a platform to educate parents and health care providers on the importance of optimizing the microbiome during infancy to improve both immediate and long-term health outcomes. Megan began her career at Oregon Health and Science University (OHSU), where she was a pediatric dietitian at Doernbecher Children’s Hospital and gained experience from some of the top nutrition professionals and health care providers in the country. Megan is also the co-founder of Alavita, a Portland-based nutrition company and blog for women. She started Alavita because she is passionate about educating women about making healthy decisions and helping families live healthier, more vibrant lives. Through her personal and professional experiences, Megan deeply understands the role food can play in wellness and how a solid nutritional foundation can often be the missing component to optimal health. She is dedicated to educating moms on ways to provide the healthiest start for themselves and their little ones.